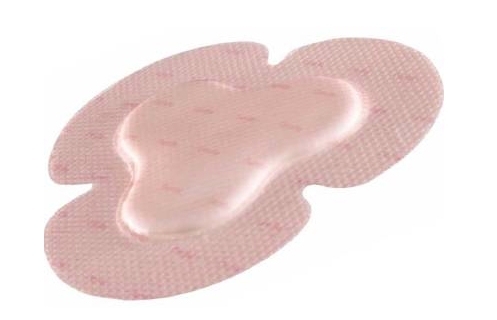 Allevyn Gentle Border Multisite Dressing 6-3/4" x 7-1/16"
ALLEVYN Gentle Border Multisite is a unique tri-lobe foam dressing incorporating the ALLEVYN triple action technology designed to fit the most awkward areas of the body. Measuring 6-3/4"x7-1/6" it is idea for awkward or contoured body areas yet easy to apply. It provides excellent flexibility without compromising gentle adherence. Tear the perforations as needed and mold the dressing to the skin. Do not use ALLEVYN Gentle Border Multisite dressing with oxidizing agents such as hypochlorite solutions (e.g. EUSOL) or hydrogen peroxide, as these can break down the absorbent polyurethane component of the dressing. If reddening or sensitization occurs discontinue use.